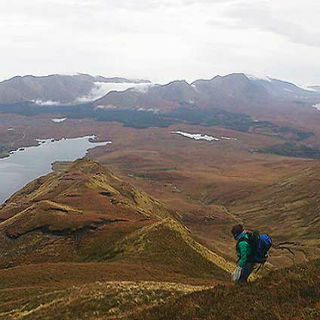 Want to explore the rugged West Coast of Ireland like never before? 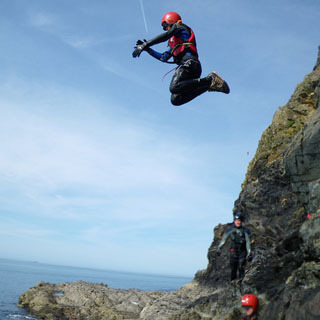 Coasteering is a brand new adventure activity which combines adventure swimming, cliff jumping & rock scrambling. 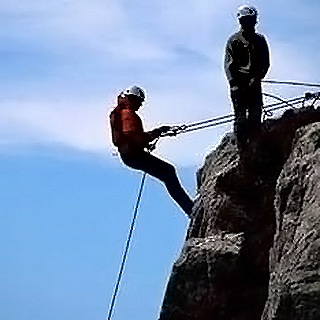 Basic level of fitness is required to scramble on rocks and move around freely. Minimum age of 14 years. Duration approx. 3 hours. You should also be comfortable/competent swimming in the sea. All specialist equipment is provided. You will need to bring swimming togs for under the wetsuit and a pair of old runners/trainers that can get wet. Bring a warm change of clothes and dry shoes for afterwards. This voucher is valid for one child under 16. This experience is weather dependent. 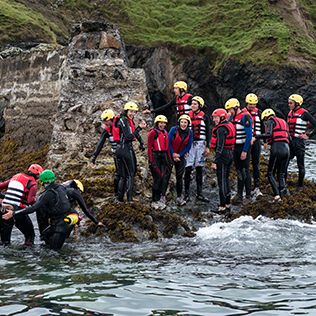 Adventure West is located on the grounds of Westport House, Westport, Co. Mayo, offering thrilling adventure activities such as Hydro and Harness Zorbing, Zipwire and Abseiling. Opening Times - June: weekends only | July & August: weekdays and weekends. Booking is required.